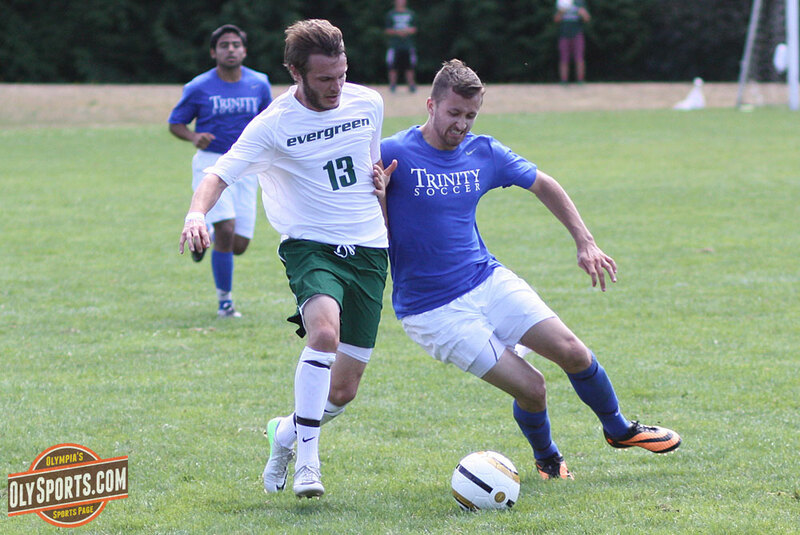 Evergreen will honor ten seniors on senior day at Evergreen Pitch. Collin Harlow, Mauricio Sanchez, Brady Espinoza, Greg Wolfe, Jeff Roland, Jack Fortune, Dyson Fowler, Mitch Treend, Joseph Ademofe and Brice Boum will all play their last home game beginning at 1:00 PM. It’s a battle for playoff position against Oregon Tech. The Geoducks are in fourth place in the CCC at 4-4-2 while the Hustlin’ Owls are just behind them at 4-5. Molly Campbell, Gina Cardenas and Olympia High School grad Sammi Thompson will play in their last home game when Saint Martin’s faces Central Washington following the Saints men’s game. Senior day is scheduled to get underway at 2:45 PM. Posted on October 26, 2013, in College, Saint Martin's University, Soccer, The Evergreen State College, volleyball. Bookmark the permalink. Leave a comment.